While the economy seems to be on the mend, there are still many companies struggling to remain solvent. As such, companies that cannot find other ways to cutback are moving to lay off employees. This is never an easy time for anyone. No one wins in these situations. The only upside is the business extends its lifeline at the expense of the employee’s jobs becoming obsolete. There are ways to somewhat ensure that assumptions, gossip and miscommunications don’t make an already difficult situation worse — and that is to communicate truthfully and regularly. In business, we speak a lot about “being transparent.” This is one of those times where preaching about transparency will not help; you will have to act the part. As a manager, you may not be able to divulge all that is being discussed regarding a pending layoff. However, once you start discussing the potential for layoffs and request that employees justify the necessity of every duty and task they perform, you are opening up a Pandora’s Box of worry. Worry in turn becomes assumptions, and assumptions become gossip. All of which are catalysts to commiserating employees in the bathrooms and/or in the hallways, as their discussions lead to distrust of management and disenchantment with both the business and work. 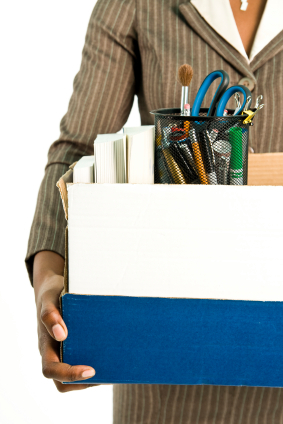 Ask yourself this: what would you want to know if your boss said layoffs were coming and it could affect you? How important are the details of the layoff that you can’t be honest with your employees? Let me remind you once again that you are managing adults. Adults have bills to pay and families to care for, and as much as any of them complain about their jobs, the fact is they need them. Communicating effectively during a layoff entails you being empathetic, truthful and timely. Call a meeting with your team when notifying them of a potential layoff situation. There is a time for email and this is not one of them. This is a difficult message to deliver. Conducting a face-to-face meeting allows for an open discussion of the information being received and any concerns. Be ready to answer questions that may be asked about how this will affect individuals. This will require you to take off your manager hat for a second and be a human that understands (to some extent) how this is affecting your staff. If you aren’t sharing details, you aren’t sharing details. The worst thing you can do is to tell your team you have no further details on how cuts will affect them only for them to find out through the grapevine that there is more to know. The employee-boss relationship can be sticky. If you have been sworn to secrecy, don’t be caught voluntarily sharing information that hasn’t first been shared with those it affects- your staff. Do not let long periods of time lapse in communicating updates to your team. Even if you haven’t heard anything new- it doesn’t preclude you from inquiring and reporting back to your staff. A layoff is a situation where any news is presumed bad news and no news is not good either. Keeping them up-to-date even when there is nothing to share will at least make your staff feel like you care enough to keep them updated. Who can argue with that kind of communication? Many employee situations or dilemmas can be made easier with effective communication. Keep in mind what really motivates the employee-employer relationship, without making it solely about either side, can help you to humanize the way you interact with your employees — especially during difficult times such as layoffs. This was originally publised on Janine Truitt’s The Aristocracy of HR blog.